This is another teaser recipe from Hedy Goldsmith's cookbook, Baking Out Loud, and it's perfect for the 4th. 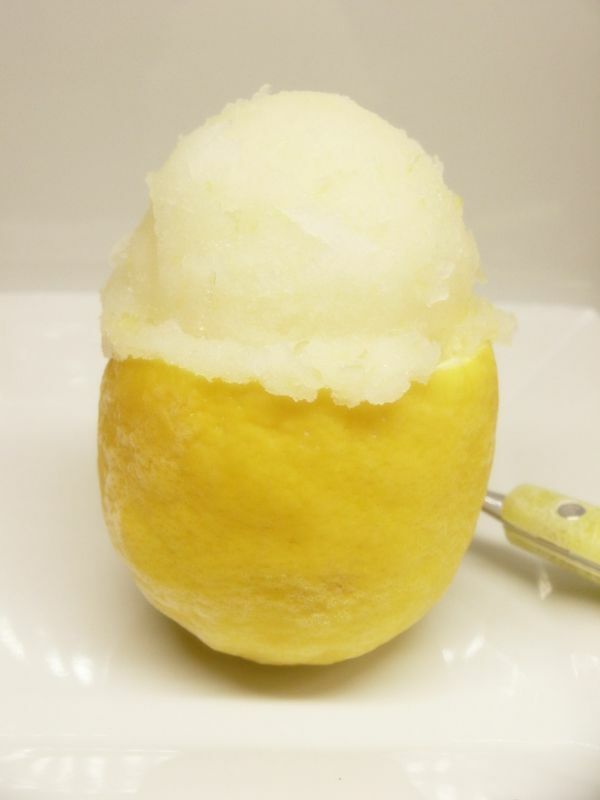 She remembers the flavors in this lemon ice from her childhood....and all I could think of when I saw her foodie photo (which I shamelessly attempted to reproduce) was a hot summer day and the relief those ices brought to us as kids. Do you remember serving ices, sorbets and ice cream frozen in orange halves? Very 60's. So this was a fun recipe, with lots of memories attached. Trust me, when you taste this, you'll feel like a kid again. It's amazing....intense, tart and not too sweet. Almost a granita, except you churn it instead. Combine two cups of water with the sugar, agave and salt. Cook, stirring, until just boiling and the sugar is dissolved. Remove from heat, stir in the lemon juice and zest. Allow to cool and then chill in the refrigerator for up to 2 days. Churn according to manufacturers directions. Every now and then I receive an email from Peter Minakis inviting me to one of his Greek dinners. My chances of ever going to one are nil, so as always, I lived vicariously through his menu. A while back, an announcement of his Santorini Sunset dinner arrived in my inbox and after reading the menu, the tomato fritters caught my eye and stuck in my mind. Luckily, I found the recipe on Peter's website, printed out the recipe and gave them a try. Peter explains Santorini tomatoes are "stressed into ripeness from the blazing sun, little moisture and volcanic soil. The result is the sweet, ultra-flavourful, dwarf-like Santorini tomato or “domatinia”." Unfortunately, no Santorini tomatoes in Florida (I've only been there once and yes, the tomatoes we had for lunch were bright red and so sweet), but Peter roasted his cherry tomatoes to get as close as possible to the flavor he remembered. He also used mashed potato as one of the 3 binders, replacing the bread crumbs. While the trinity of dill, parsley and mint are the herbs of choice, Peter substituted basil for the dill. I think you'll really enjoy these fritters; crisp on the outside and soft inside. A lovely side for anything you're grilling, but most especially seafood. Toss the cherry tomatoes with some olive oil, salt, pepper and some cloves of garlic and roast in a 450F oven for about 30-45 minutes or until they are slightly shriveled the the skins have just burst. I roasted the potato at the same time. Allow to cool to room temperature and strain the excess liquid (I didn't have any) and reserve the roasted tomatoes in a large bowl. Mash the potato and add to the tomatoes. In a skillet, saute the chopped scallions in some olive oil until translucent. Allow to cool and add to the bowl with the tomatoes. Add the flour, egg and herbs and black pepper to the tomato/potato mixture and mix thoroughly. The mixture will be soft and a bit wet. Add more flour for binding if you need to. Add some crumbled Feta and taste test your mixture. Adjust flavourings with herbs, pepper or with some more cheese. 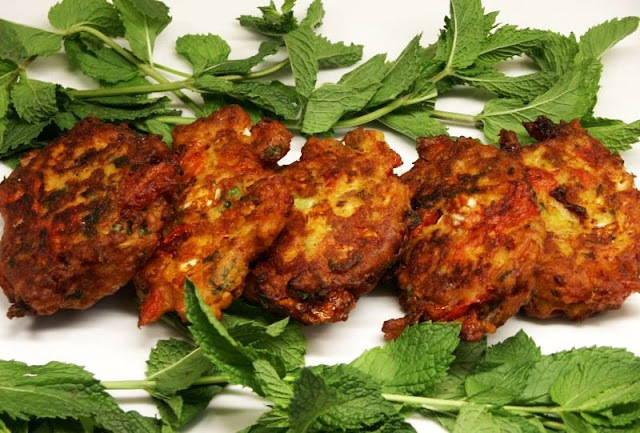 Pour some vegetable oil into a large, non-stick frying pan over medium high heat and when a drop of water sizzles, the oil is hot enough to fry the fritters. Use an ice cream scoop to drop the fritter mixture into the oil and flatten each fritter into the shape of a pattie. 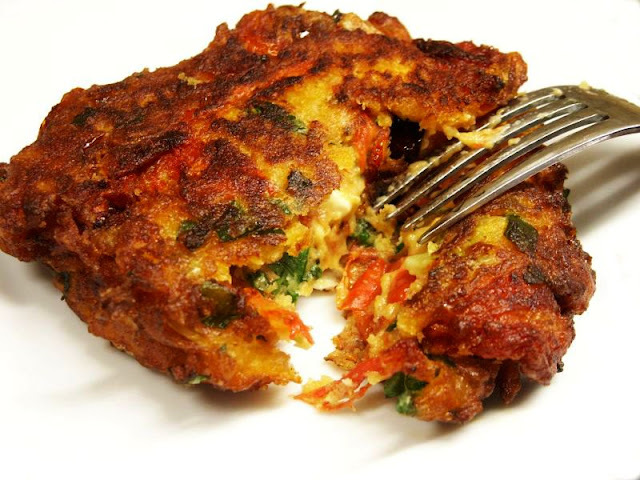 Fry each fritter for about 2 minutes per side and reserve on large plate or platter that’s covered in paper towel. Reserve in a warm oven until the entire batch is ready to be served. Makes about 12 patties. Everyone has their own comfort foods. Mine have always involved vanilla-flavored things...puddings mostly. Boring, I know. And yes, I also choose vanilla ice cream over most other flavors when in an ice cream store, but for some reason never thought it a comfort food. It's a fun food. Although considering the calories, I don't know how we can call ice cream food, but whatever. Who knows where the love of comfort food it starts? Childhood, I should think. My mother made a lot of comfort foods...in particular, her Floating Island comes to mind; it was ambrosial. One rarely sees it on a menu in restaurants in the US, but I've enjoyed it often when in France. I think it's considered a "nursery food" in Europe. But do you know, it's the crème anglaise that gets me every time. I could eat it by the bowlful. Forget the little egg white islands. 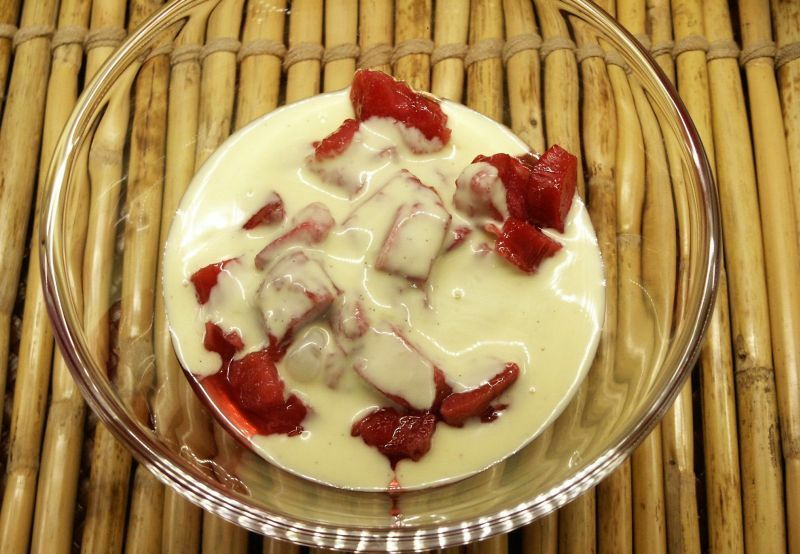 Crème anglaise is also referred to as English Custard. So simple to make...milk, eggs, sugar, vanilla....things we usually have in the fridge and pantry. Handy when you need comfort. You have to be a little bit cautious when making it so it doesn't curdle, but it's not brain surgery. After making one of my rhubarb recipes for the blog, I had several stalks of rhubarb left over; I had recently seen Marion Cunningham's Rhubarb and English Custard recipe when I was searching for another recipe in her Breakfast Book (which frankly, you should all own and if you're still debating it, read this wonderful old Gourmet review HERE.). I had one of those "why haven't I made this before" moments. I took my leftover rhubarb and made her dish. Definitely comfort food, but with a difference. Of course, I ate most of the custard first. Put the rhubarb into a saute pan that has a lid. Add 1 cup of water and cook, covered, over medium heat for 4-5 minutes, just until the rhubarb is barely tender. Do not overcook! Carefully remove the rhubarb from and pan and set aside. Discard the water. Put the sugar, 1/3 cup water and gingerroot into the saute pan and heat until the sugar dissolves and it comes to a boil. Add the rhubarb and stir gently for about a minute so the rhubarb is coated with the syrup. Allow to cool, remove the gingerroot and refrigerate. Serve with English Custard on top. Heat the milk to a simmer point. Not boiling, but little bubbles around the side and steam rising from the milk. Remove from heat and add sugar. Sitr to dissolve. With a whisk, slowly temper the egg yolks until all the milk is combined. Pour back into the pan and cook over low heat, stirring constantly. Pay attention, as there will be a slight thickening and the mixture will coat the back of a wooden spoon. Remove from heat, strain, and then add the vanilla. I like my custard cool, so I place some plastic wrap on the surface so it won't form a skin, and refrigerate. 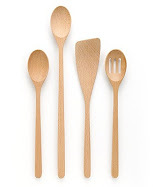 Recently, I read a fun post written by Dana for her blog The Kitchn. The post was entitled Which Cookbooks Defined the Past Decades of Cooking. Dana had read an article in the Financial Times by food writer Tim Hayward called Cookbook Colossi, listing the popular British cookbooks. The article prompted her to make her own list of cookbooks through the decades she feels defines American cooks. 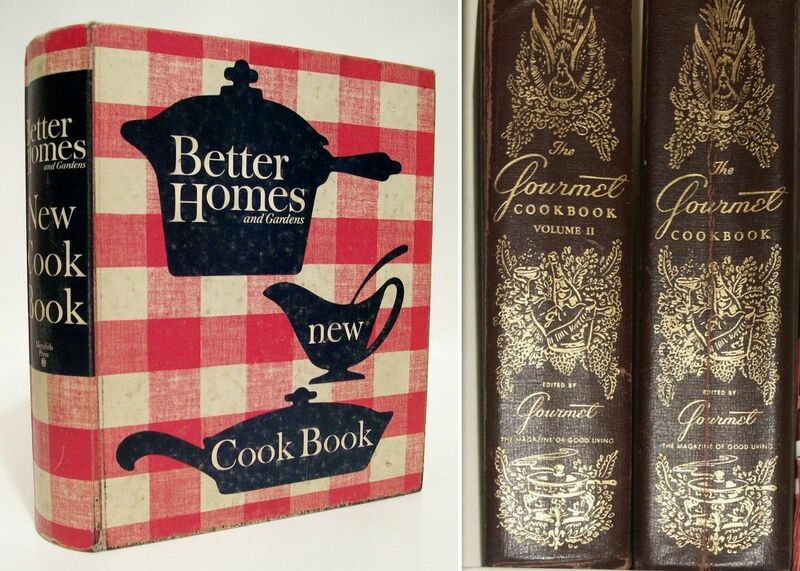 Because I was cooking in the 50's, I'm adding that decade, and hands down, it was the BH&G cookbook. Joy of Cooking, while not on Dana's list, is a cookbook everyone received at bridal showers in the 50's. I'd say that one spans all decades. In addition, another bible for me back then was this set of Gourmet Cookbooks my mother gave me. 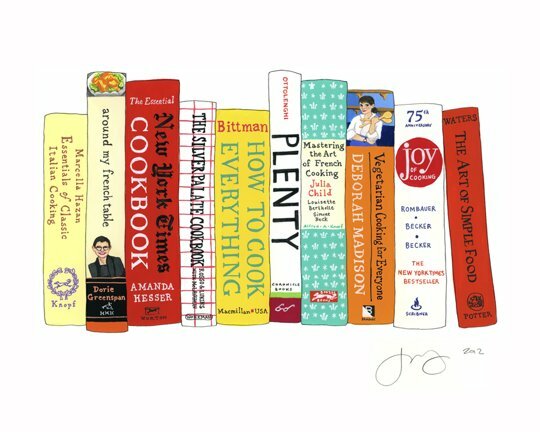 And because the end of the 00's and into the 10's is the era of food blogging and network food shows, do you think any resulting cookbooks are worth a mention? What about Ina? Or Maida Heatter? (Maida is probably too specialized, as she's all desserts, but I have all her books.) Or, as Dana gave mention to, Martha Stewart. What about Alice Waters? Difficult, isn't it? So what do you think of Dana's choices? I'm on board with her first three, but I'm kind of iffy with her choices for the 90's and the 00's. 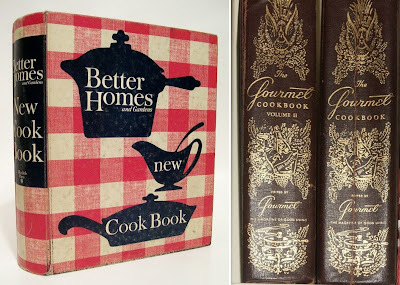 What are your favorite cookbooks from each decade? What would you add, or substitute? How does one determine? Best sellers? Or what you personally used? I rarely order pasta when dining out.....mainly because the pasta portions restaurants serve are g-normous. Who could eat all that? But making it at home is a different matter. 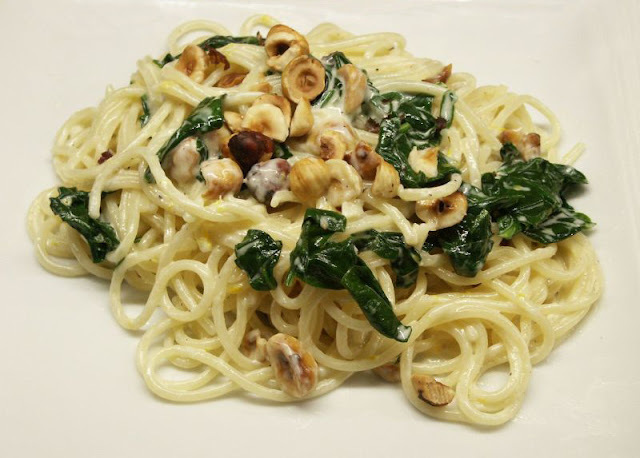 With dishes like this, you have control over portion size and while I am not a huge pasta eater, now and then I like to make easy pasta recipes. One of my favorites is Ina Garten's summer pasta, which I posted recently. And now I've found another, perfect for one or two. While we prefer the nutty taste of whole wheat pasta in my family, this recipe caught my eye and I bought regular spaghetti to make it. Makes for a prettier presentation with the mascarpone sauce. It was lemony and altogether fabulous. Love the crunch from the hazelnuts. Combine the zest, lemon juice, mascarpone, garlic, salt, pepper, and nutmeg in a bowl. Whisk to combine. Return the pasta to the pot, and set over low heat. Stir in the mascarpone sauce. Add the spinach and toss so that the spinach begins to wilt. If you need to, add some pasta water to keep the sauce somewhat fluid. (I didn't) Continue to cook and toss until the spinach is cooked. Add the hazelnuts and stir to combine. Serve immediately. Don't you love fresh strawberries? And they're absolutely delicious right now. If you're picking them yourself, the warmth of the sun makes them so sweet, you eat them as fast as you pick them, barely able to fill up your container. 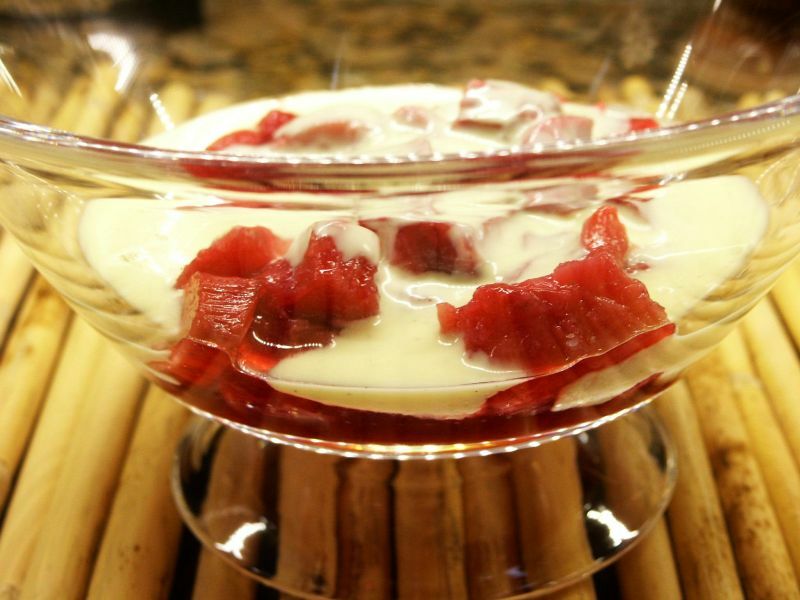 Once home, there are so many options for serving, from desserts to salads and salsas. Start with a simple dessert: dip them in dark brown sugar and sour cream...an old favorite of mine. Or try the recipe my MIL served frequently in the summer: Strawberries Romanoff. With my last batch, I made certain I had enough strawberries left to make this bar....so many flavors to tempt your palate. 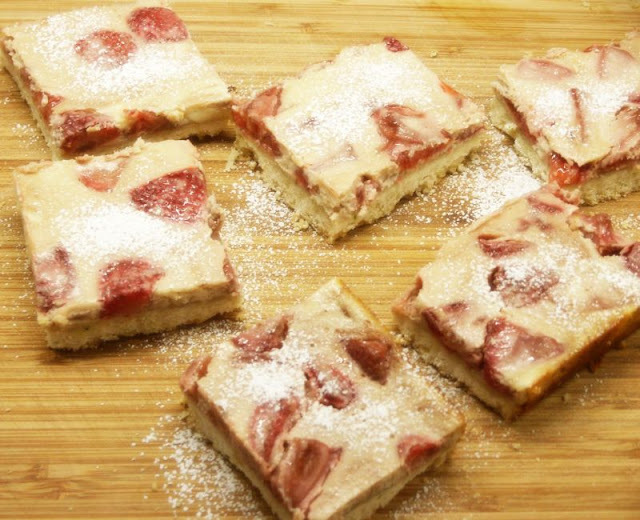 The recipe was adapted from a Better Homes & Gardens raspberry bar recipe, and was the result of a trip to a California strawberry farm by Gerry from Foodness Gracious, where all sorts of strawberry recipe possibilities were explored. I hadn't seen the original raspberry bar recipe, so loved the idea of using goat cheese along with cream cheese. Gerry, besides substituting strawberries for raspberries, added some fresh basil to the cookie layer, which made the bars even more tasty. Rosemary would be even better. I've used that herb in my crusts quite often. Preheat the oven to 350 degrees and line a 13x9x2 baking pan with foil, leaving enough hanging over the sides to lift out after baking. In a mixer, beat the butter until soft. Add the brown sugar and salt and mix until combined. On low speed, add the flour and the basil. Mix just until the dough comes together. Break the dough into clumps and spread over the base of the baking tray with your hands, making it as even as you can. Bake for about 20 mins or until just turning golden brown. Add the butter to a saute pan over medium heat. The add the strawberries, sugar and balsamic and toss to coat the fruit. Cook for about 10-12 minutes and the mixture has turned thicker. Set aside. Beat the cream cheese and goat cheese together until soft. Add the white sugar and tablespoon of flour and mix well. With the mixer running, add the egg, egg yolk, zest, lemon juice and vanilla. When the base has baked, drizzle most of the strawberry pan liquid over it. Pour the strawberries into the cheese mixture and gently fold once or twice. Not too much as you want it to look marbled. Pour the whole mixture over the base evenly. Bake at 350 degrees for about 20-25 minutes and set in the middle. Let cool for at least one hour before storing in the fridge for another hour. Slice into squares with a sharp knife and dust well with powdered sugar. Rice pudding was always my father's favorite dessert. He liked it with raisins and always mixed soft butter with brown sugar and cinnamon and loaded it on top of his pudding....letting it melt all through. I know, calories, calories. 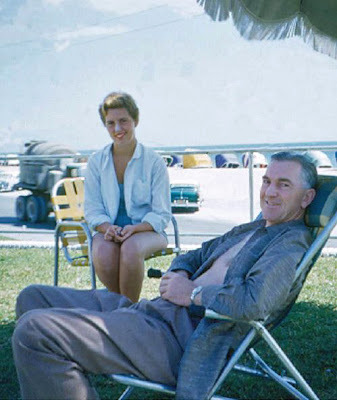 But he lived to his mid 90's and weighed himself every morning of his life. So while I wanted to make rice pudding in his honor for Father's Day, I decided not to use my mother's recipe but make a more contemporary version with fresh raspberries and coconut. 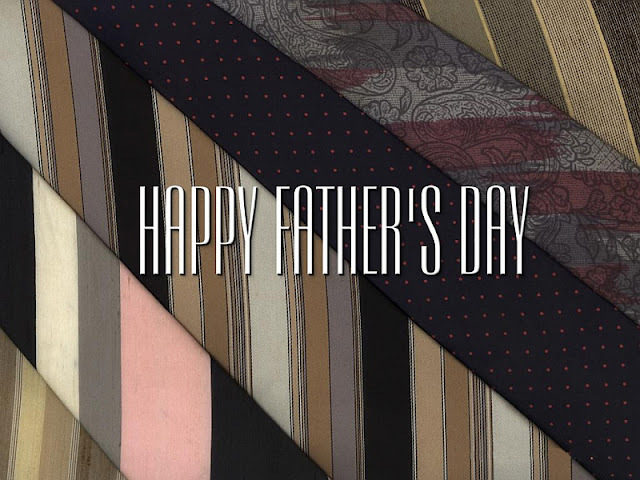 Happy Father's Day to all the great dads out there. I sure miss mine! Place rice and water in a small pot with tight lid and bring to a boil over high heat. Reduce heat, cover and simmer until rice is almost tender, about 15 minutes. Remove pot from heat but keep lid on. Let rice steam for 10 minutes, then fluff with a fork. Cool. Preheat oven to 325 and bring a kettle of water to boil. Whisk together eggs, sugar, vanilla and salt in a large bowl. Add coconut, half and half, coconut milk and cooked and cooled rice. Divide mixture among ramekins in a roasting pan. Pour hot water to reach half way up the sides. Bake 20 minutes, then stir to distribute rice evenly. Divide raspberries among the puddings. Bake until puddings are set and barely wobbley. 18 to 20 minutes more. 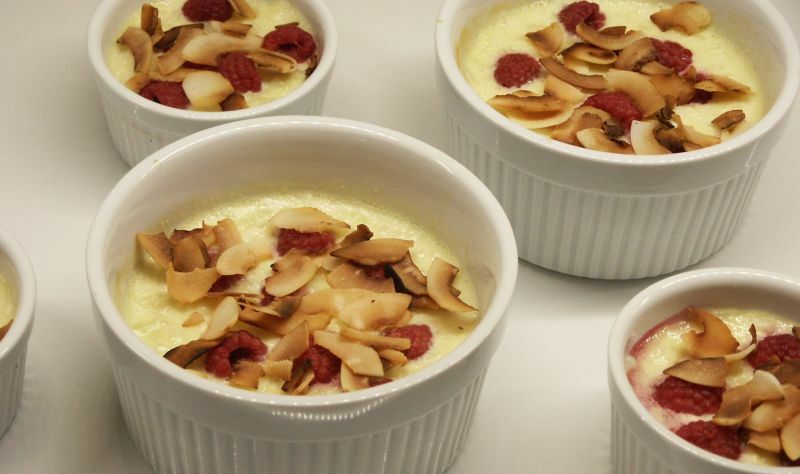 Cool a little, and garnish with coconut flakes. Pistachios are my favorite nut for snacking, always have been. (Pistachio ice cream's way up there on my preferred ice cream list as well.) I thought the idea of using lime zest with the pistachio flour was a lovely combo and Donna Hay magazine said it made a cake with distinct mid-east undertones. They also suggested adding a dash of rosewater to make it even more so. I didn't add the rosewater, but may try it next time I make it. Yes, I'll be making it again, it was delightful. Unfortunately, I only got to eat one slice as I was making it for a friend who's having some serious health problems. (She didn't mind one missing slice; she understands food bloggers.) Along with the cake, I'm taking her some old British mysteries. I don't know about you, but when I'm having health problems, I can't seem to concentrate very well on serious books so there's nothing I like better than easy mystery reading......and cake. :) Please say a prayer for her complete recovery, dear friends. 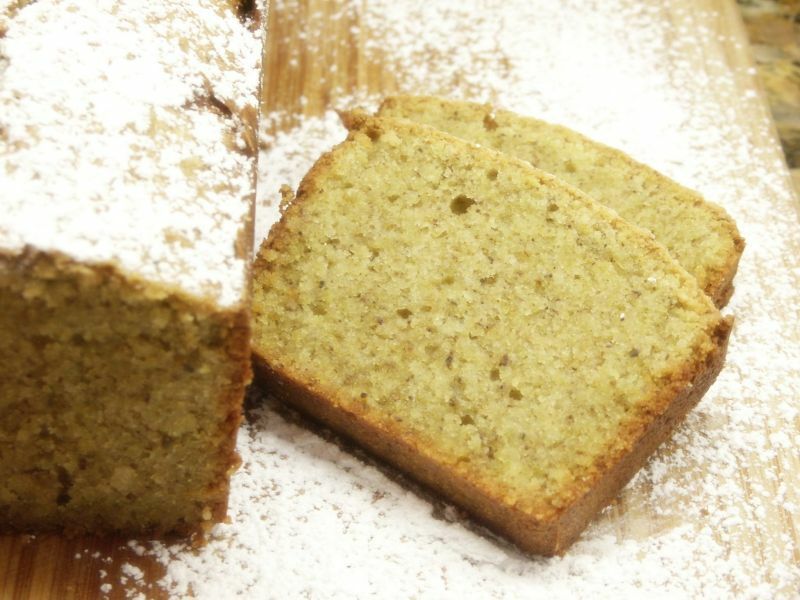 If you don't have access to pistachio flour, you can always make your own (see tutorial on making nut flours HERE) or order it online. I made some pistachio madeleines a while back so had ordered it...it came in a rather large package and I had plenty left over. All of us love the amazing photographs in Donna Hay magazine, but while this looked like a gorgeous cake in the magazine, mine didn't resemble it at all, which gave me pause when I pulled it out of the oven. If you have the magazine, look for the photo in the latest issue. No resemblance, right? However, ovens differ country to country, as do ingredients and when I sliced a piece and took a bite, it was wonderful. Besides, who knows what the food stylists do to get the photos exactly how they want them? 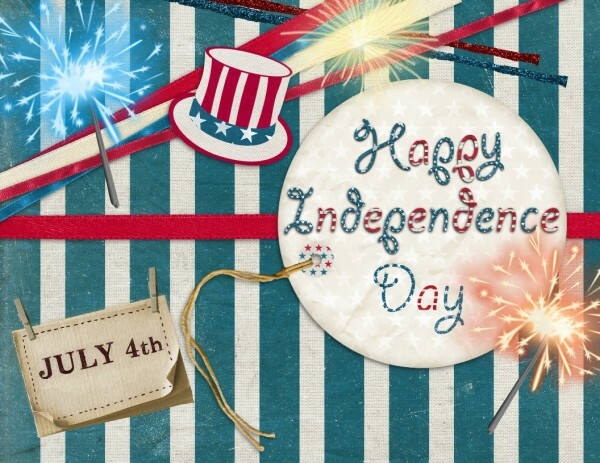 Oh, I nearly forgot something important to many of you. This recipe is gluten-free. Use approx. 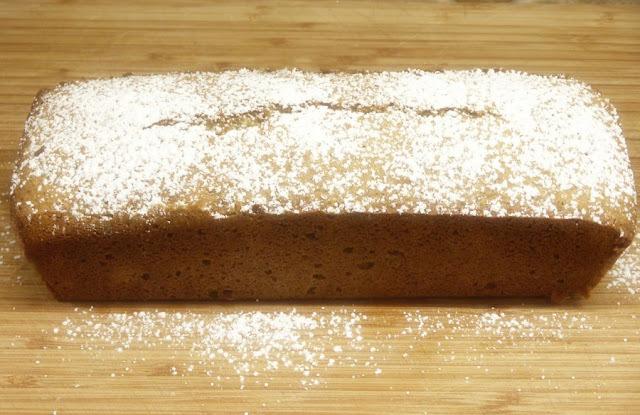 an 11x4x3 inch loaf pan. I sprayed with Pam, lined it with parchment paper and sprayed it with Pam again. Place butter, sugar, vanilla and lime zest in an electric mixer bowl and beat for 10 minutes or until pale and very light, scraping down sides frequently. Add eggs one at a time, beating between additions and scraping the bowl each time. Beat another 2 or 3 minutes. Remove from the mixer and fold in the two flours until well combined. Pour into prepared pan and bake for about 1 hour and 10 minutes or until a cake tester comes out clean. Cool in the pan. Remove parchment paper and serve. Donna Hay showed the cake with a honey drizzle, but it was sweet enough without and I knew it wouldn't travel well that way. I just sprinkled on some confectioners sugar. Welcome once again to Ina First Fridays! This month it's a main course. Now I know most of you have a grill and probably use it almost every night during the summer, but I don't, so this was the perfect recipe for me. I do love a melt-in-your-mouth filet and the shallot sauce finishes it off to a T.
To me, the perfect filet mignon has a crispy outside and a tender, juicy, rare or medium rare center. Why rare? Because filet is very lean to begin with, which means very little fat to melt and lubricate as it cooks. So the longer you cook it (to medium or well done) that tiny amount of fat melts away and the meat will be dry. As a bonus, I made some Horseradish Yorkshire Puddings, which we always think of with roast beef, but they are amazing with any cut of beef. The only change I would make to this recipe is to add 2 tablespoons of the horseradish cream, because 1 tablespoon just didn't cut it. 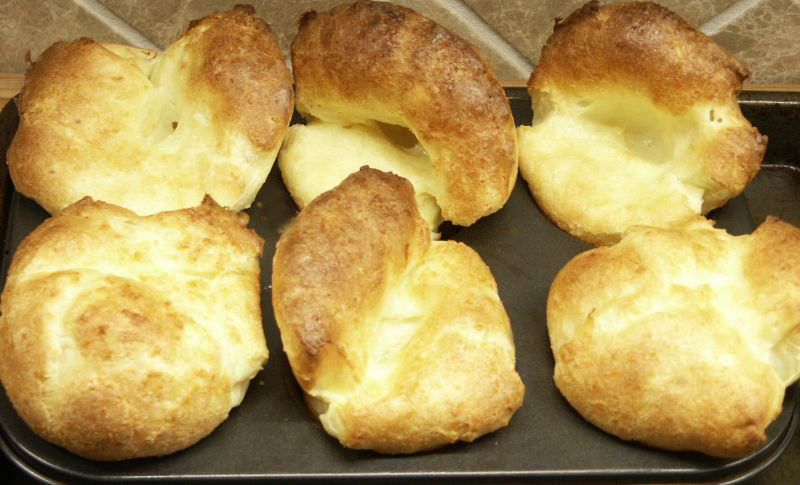 Remember, they're like popovers, so they puff up when baking and sink a bit when out of the oven. These little puddings are NOT an Ina recipe, but a Donna Hay find. 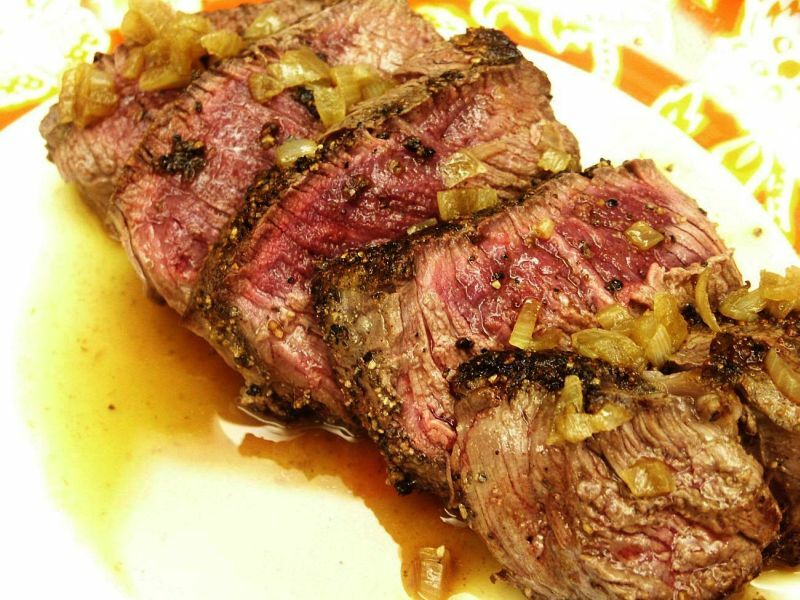 I think you'll like them with Ina's filet and you'll want to make them often when you're grilling steak. Place the filets on a board and pat them dry with paper towels. Sprinkle the filets with salt and then press the black pepper evenly on both sides. Allow to rest at room temperature for 15 minutes. Heat 1 1/2 tablespoons of the butter and the oil in a large saute pan over medium-high heat until the butter almost smokes. Place the steaks in the pan and lower the heat to medium. Saute the steaks for 4 minutes on 1 side and then for 3 minutes on the other side, for medium rare. Remove the steaks to a serving platter and cover tightly with aluminum foil. Meanwhile, pour all but 1 tablespoon of fat from the saute pan. Add the shallots and cook over medium heat for 2 minutes. Add the beef broth and cook over high heat for 4 to 6 minutes, until reduced by half, scraping the brown bits from the bottom of the pan. Add the Cognac and cook for 2 more minutes. Off the heat, swirl in the remaining 2 tablespoons of butter and 1/2 teaspoon salt. Serve the steaks hot with the sauce poured on top. Place eggs, milk and horseradish cream in a bowl and whisk. Add the flour and whisk until smooth. Set aside for 30 minutes. Divide the clarified butter between 6 half cup muffin tins. Place the tins on a tray, place in the oven about 5 minutes. Remove from oven and divide the batter between the tins. Bake for 20-25 minutes or until puffed and golden. Serves 2. 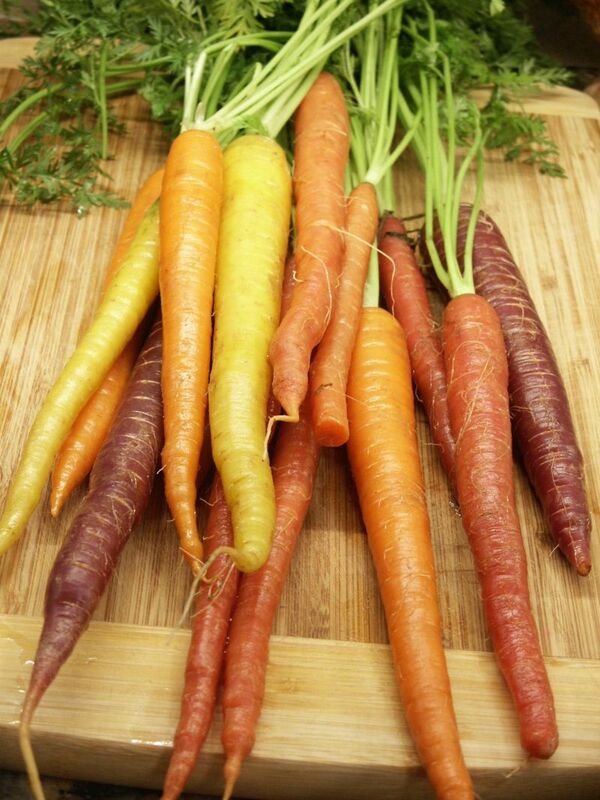 Last week I came home with a big bunch of these lovely multi-colored carrots. Don't they look delicious? And because I love them roasted, this time I wanted a little something extra so searched online a bit and discovered a recipe that suggested adding fresh thyme and shallots to the roasting pan. Sounded awesome. The result? Do you see that enormous plate of cooked carrots below? Well, I ate the entire plate for dinner. OMG, they were soooooo good. That was all I ate too....just those carrots. Carrot heaven, my friends. 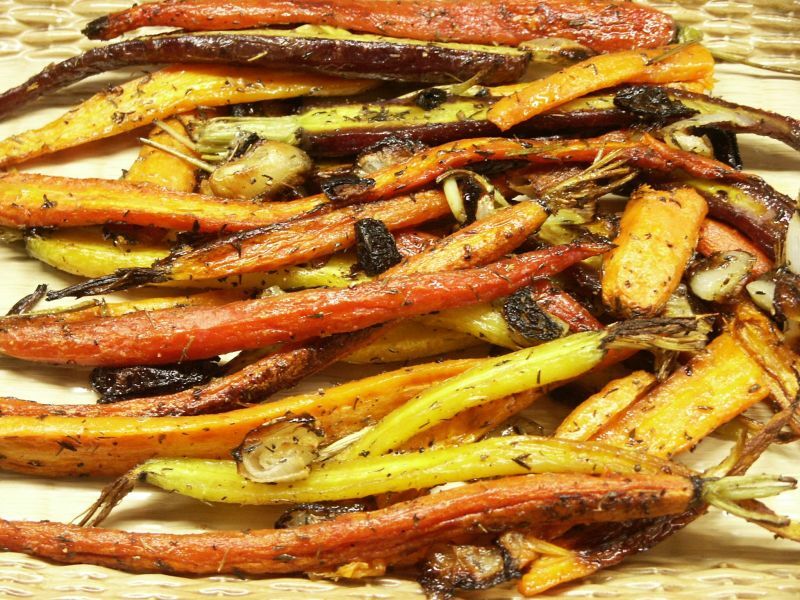 Caramelizing veggies brings out their sweetness and while I love most vegetables done this way, these carrots are now my favorite, displacing roasted fennel by a hair. The shallot addition was genius (slice them in big chunks as they burn if you slice them thinly) and because I didn't have any fresh thyme, I sprinkled on some dried thyme; you needn't hesitate to do that in a pinch, the flavor was still amazing. Preheat oven to 425° F. Place rack in center of oven. Peel carrots if desired and trim green top, leaving about 1/2–inch. Cut larger carrots in half lengthwise and place in a rimmed baking sheet. Add shallots and thyme; drizzle with oil and stir to coat. Season with salt and pepper. Roast for about 30 to 35 minutes or until tender and lightly browned. Season with additional salt and pepper, if desired.